Siliguri: Mayor Asok Bhattacharya has sent a letter to chief minister Mamata Banerjee, requesting her to hold an administrative review meeting on the Siliguri subdivision. Bhattacharya, in his letter that was sent on Sunday, has also mentioned that the city and its suburbs are being deprived of their dues by the north Bengal development department and the Siliguri Jalpaiguri Development Authority (SJDA), two prominent wings of the state which are engaged in infrastructure development in north Bengal. "The chief minister holds administrative meetings in different districts where she reviews the progress of development programmes and welfare schemes. I appreciate the effort. But simultaneously, I feel such a meeting should also be held for the Siliguri subdivision," said the mayor. Bhattacharya has also mentioned certain issues like the scarcity of drinking water in the rural areas of Siliguri. Traffic congestion across the city has become another problem, along with rise in air pollution levels. "Even then, no funds are released for the city and the sub-division though funds are available under central schemes which can help ease these problems. Also, the NBDD and SJDA are acting in a biased manner and not taking up any developmental project in the area. We feel the chief minister's intervention is required here. If a meeting is held, these issues can be discussed and sorted out," said Bhattacharya. Earlier, the mayor had levelled allegations against the state for non-cooperation over alleged non-allocation of funds. He has visited Calcutta a number of times and met state ministers and officials, seeking funds for the local civic body. "As the chief minister is on a trip to the hills, the mayor did not want to miss the opportunity to highlight the issues directly to her," said a source at the SMC. Administrative sources said ever since Mamata has initiated the practice of holding the district level review meetings, such meetings have been held for Darjeeling district like other districts of the state. "However, the chief minister hasn't held any sub-divisional level review meeting so far. The growing importance of Siliguri sub-division cannot be denied but it would be a rare decision if the chief minister chairs a meeting only for this sub-division," said a source. 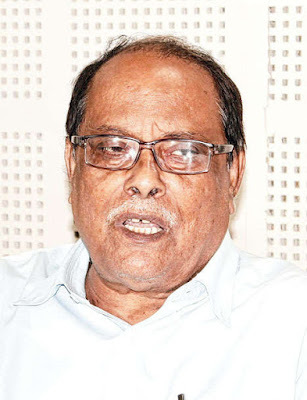 Mayor Asok Bhattacharya has sent a letter to chief minister Mamata Banerjee, requesting her to hold an administrative review meeting on the Siliguri subdivision.